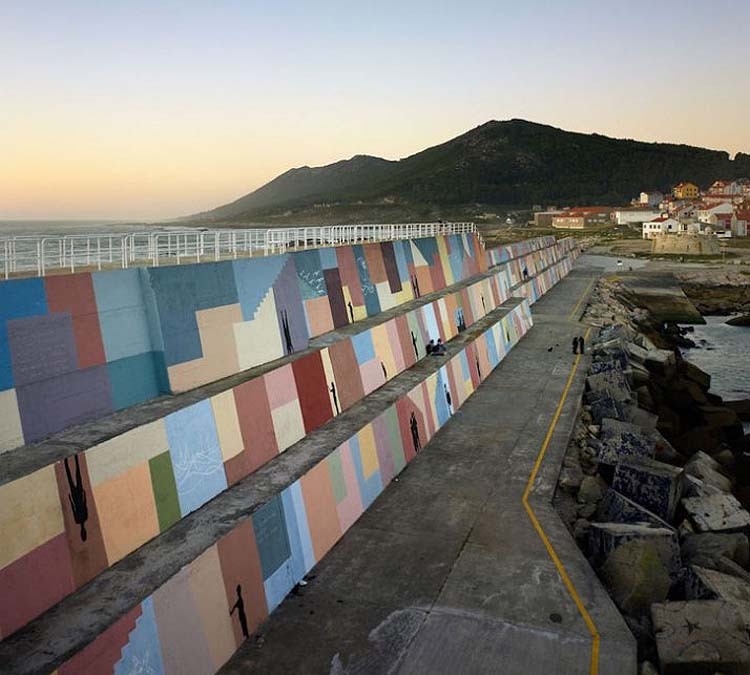 Madrid based architecture studio Artectura collaborated with painter Eduardo Zamarro on giving the A Guarda (southwest tip of Galicia) port a new look. 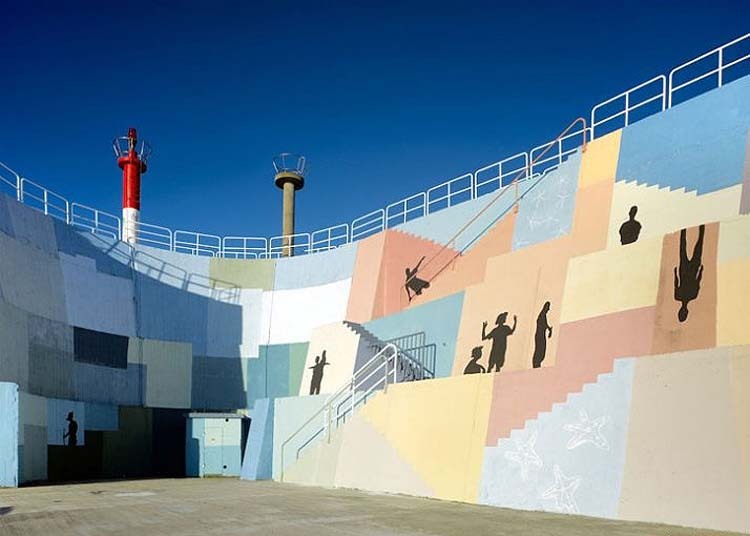 The Breakwater was painted in such a way as to mirror the town in pixelated fashion, using a similar color palette and adding hues of blue for the sky and sea. They integrated silhouetted images read as real shadows at a distance. The result is a lively and inviting space to stroll on and around. 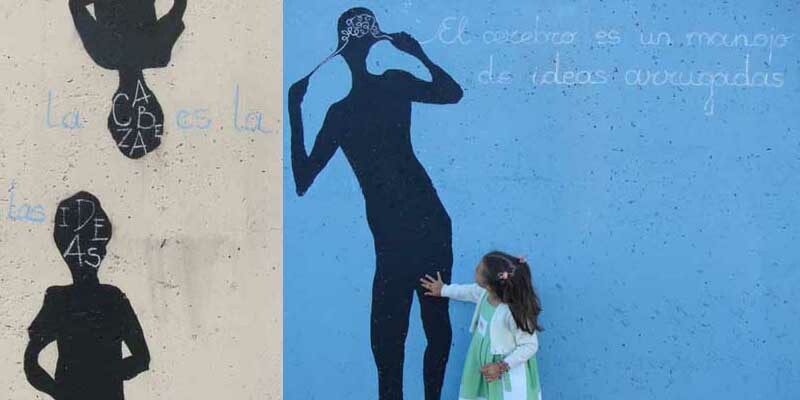 This entry was posted in Architecture, Art, Street Art, Stuff We Like. Bookmark the permalink.